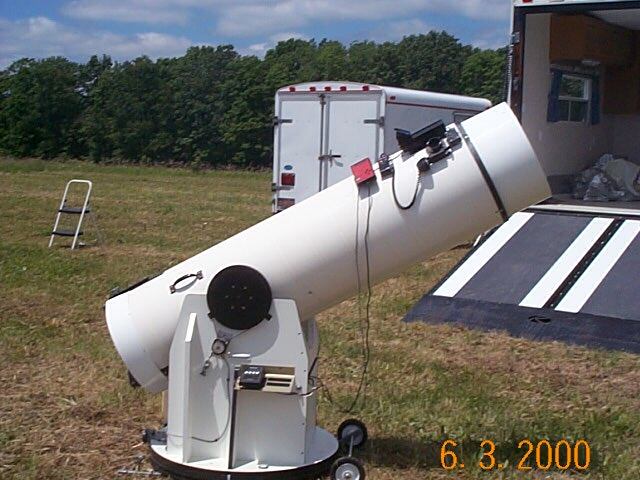 A 16" Dobsonian with a piggy back 4.5" reflector. 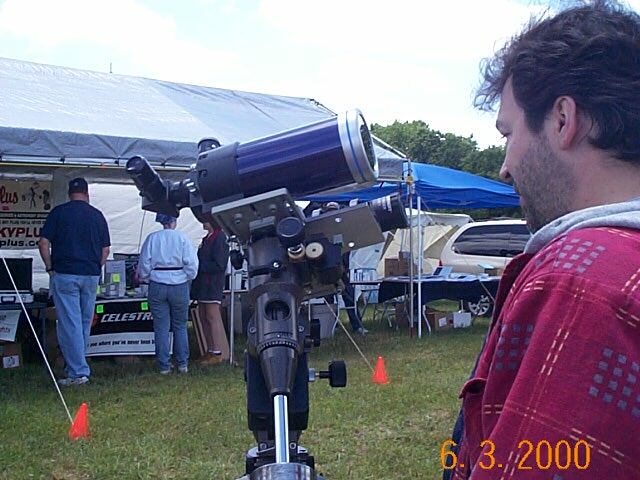 Which is the size of my scope. 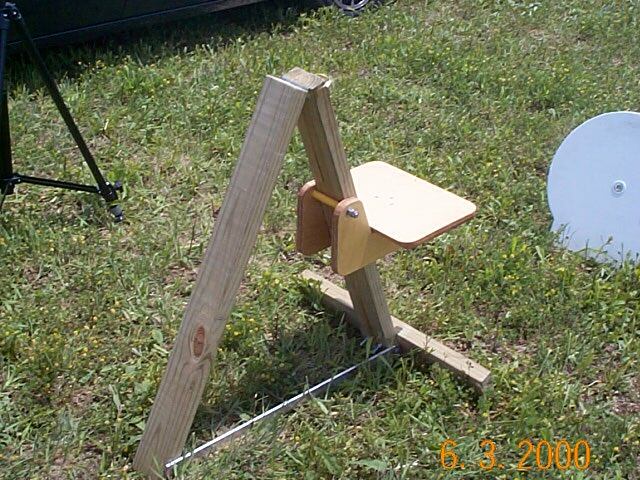 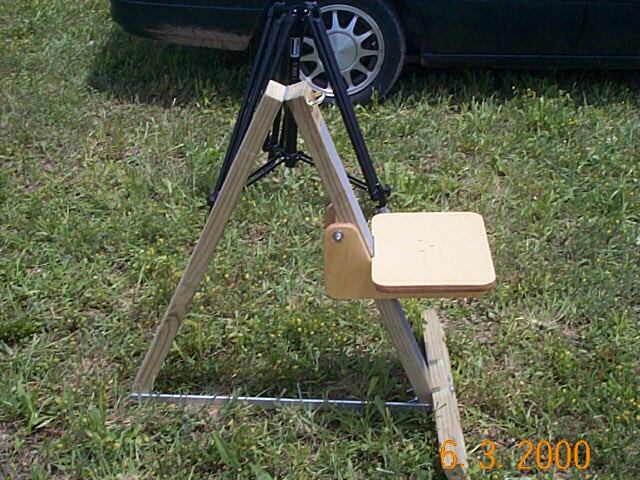 Another angle of the seat, incase I may want to make one. 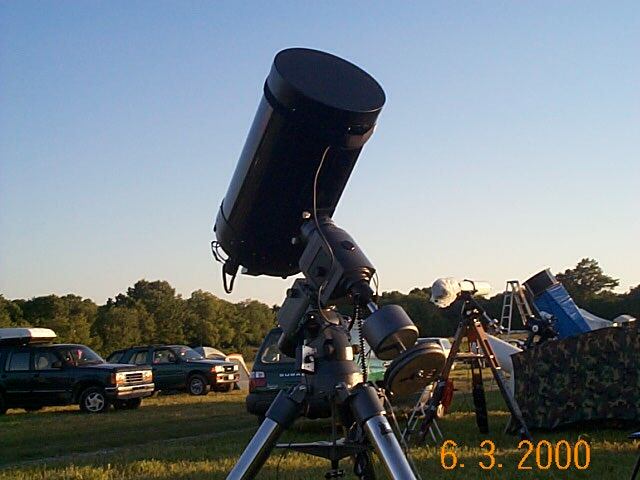 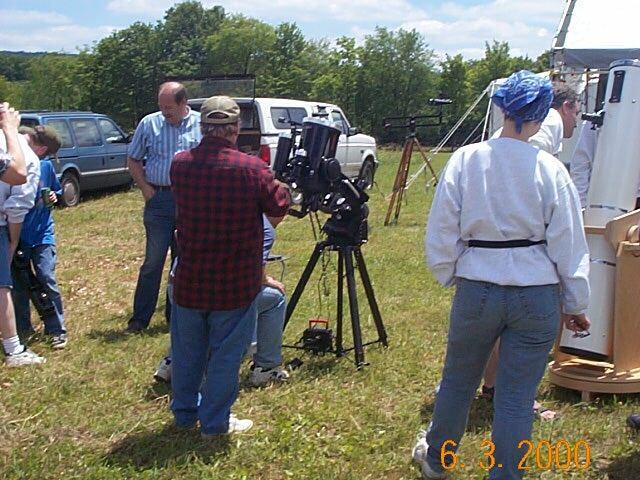 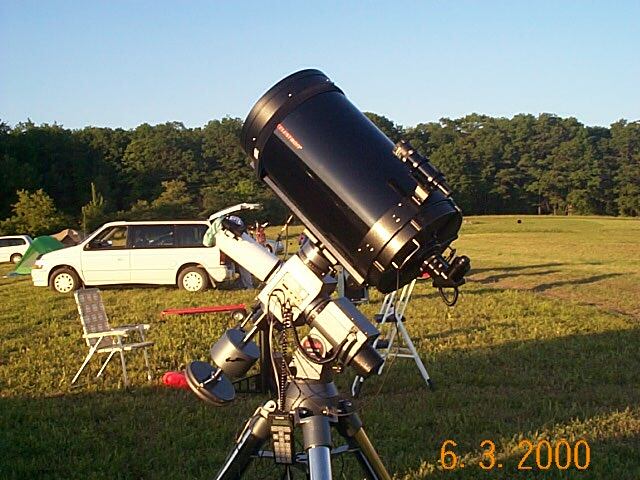 A couple of scopes setup for solar viewing. 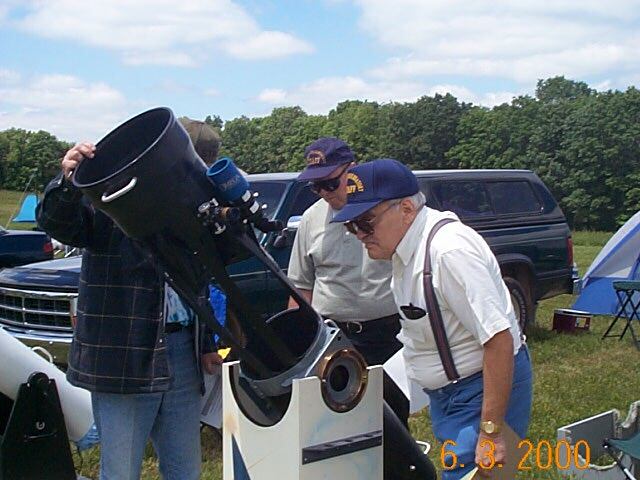 One of the vendors waiting for a solar view. 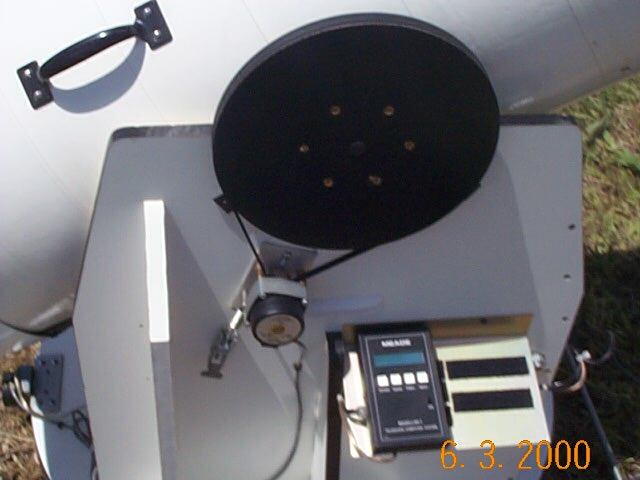 The drive system on one of the Dobs. 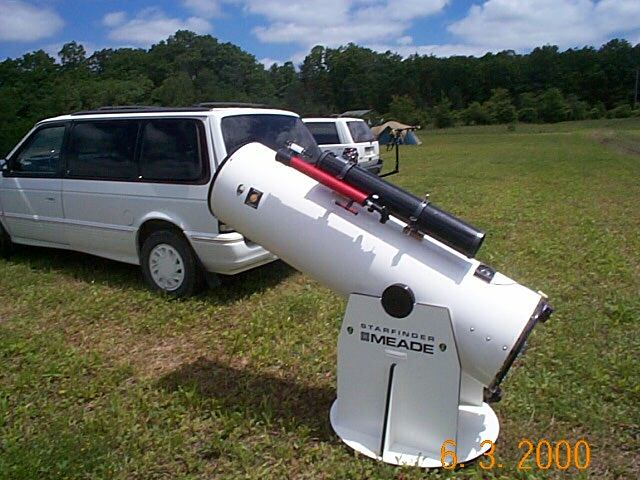 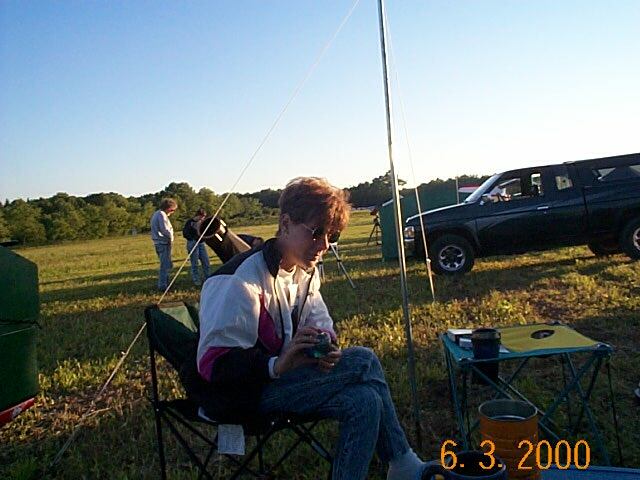 Our new camping neighbors with a 15"
F 4.5 truss type Dobsonian. 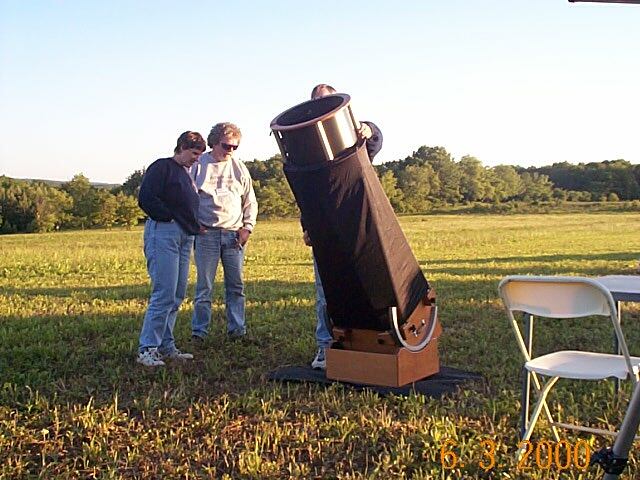 Another angle of the large SCT.